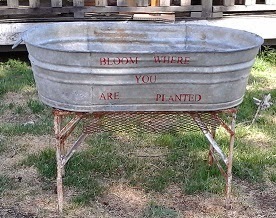 I got this old washtub last summer and I knew I wanted to put it up on legs. I didn't get to it until March, when there was still snow on the ground and I knew the general area where I had left this little metal stand, but wasn't able to find it. I did try it temporarily on some wooden legs. This really wasn't practical for the purpose for the tub, though. So I went back and was happy to find my little stand. I see it either as a planter, or a place for cold drinks in ice. It does have holes in the bottom and while they are perfect for draining plants or ice, a wooden stand would be damaged pretty easily. I used my Silhouette to make a stencil for this saying, which I really love. This will be at my Farmer's Market cabin tomorrow, hopefully! Love your blog, Diana. I usually don't subscribe to the blogs I read, I love touring the internet, stopping at my favorite blogs everyday to see what's new. I will join regularly! Another great project! 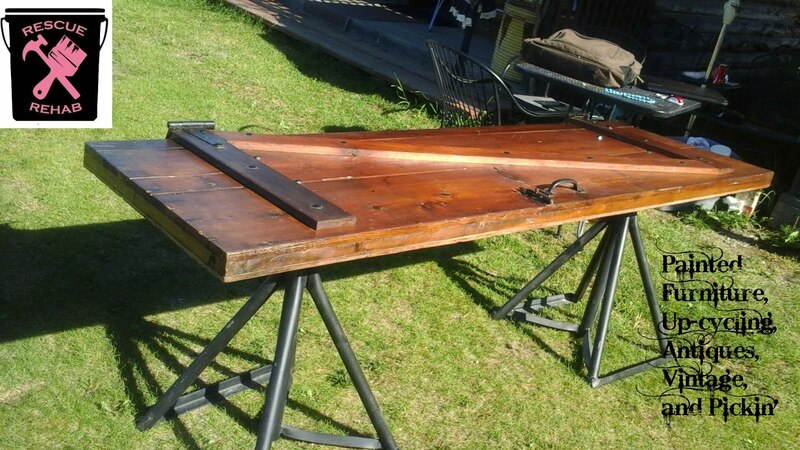 Thank you for linking your rustic planter to our Power Tool reader challenge.